Applied Materials had a relatively flat day in the market today. However in after-hours trading, the stock is climbing in a big way, and for good reason. The company reported its earnings report for the first fiscal quarter of 2016, beating expectations and creating investor excitement. Today, we’ll talk about what we saw from earnings, how investors reacted to the news, and what we can expect to see from AMAT moving forward. So, let’s get right to it. Earnings – In terms of earnings, AMAT didn’t blow away expectations, but they definitely beat them. For the first quarter, analysts expected that the company to generate earnings in the amount of $0.25 per share. However, the company actually generated earnings in the amount of $0.26 per share, beating expectations by $0.01 per share. Revenue – When it comes to revenue, Applied Materials also did relatively well. In the first quarter, analysts expected the company to generate revenue in the amount of $2.24 billion. However, the company actually generated revenue in the amount of $2.26 billion, $20 million ahead of expectations. Guidance – While earnings and revenue were both ahead of expectations, what really got investors excited was guidance. For the second quarter, analysts expect for AMAT to produce earnings in the amount of $0.26 per share. However, the company expects to do far better. 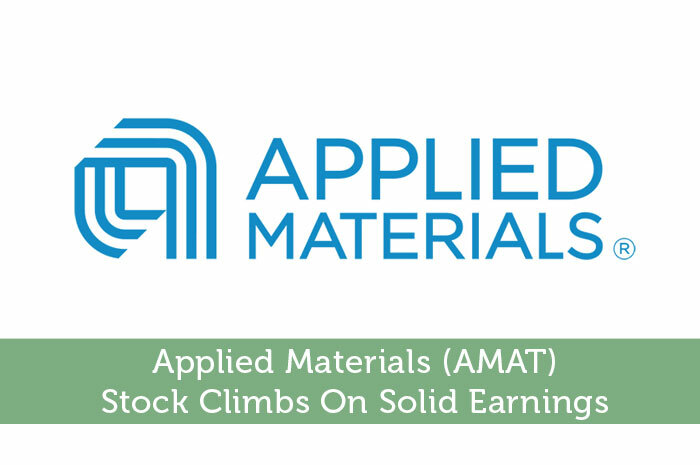 In the second quarter, applied materials is expecting to generate earnings in the range between $0.30 and $0.34 per share. As investors, we’ve seen it time and time again… news moves the market! However, there are few bits of news that have the ability to cause as much movement as earnings. Naturally, positive earnings will lead to big gains while negative earnings will lead to big losses. So, in the case of AMAT, we’re definitely seeing after hours gains as a result of the earnings report. Currently (7:13), the stock is trading at $18.36 per share after a gain of $1.19 per share or 6.93% so far. Moving forward, I’m expecting to see relatively bullish movement out of AMAT. The supplier of equipment, services, and software for manufacturing of semiconductors has really moved the needle today with the solid earnings; showing that they definitely have the ability to grow. Since investors are ultimately investing for growth, the investor excitement that earnings has created is likely to last for quite some time, pushing the value of the stock further and further up. The company has an incredibly strong earnings history, meeting or beating expectations in the past 8 consecutive quarters. With a great product line, solid management and a clear plan for growth, there’s no reason to expect to see anything but bullish movement out of the stock moving forward. Where do you think AMAT is headed moving forward? Let us know your opinion in the comments below!